It’s rare these days where we get a genuine romantic film with a big science-fiction aspect. You either get one or the other and seldom do the two ever mix. That’s not the case with ‘Age of Adaline‘ though. Writers J. Mills Goodloe and Salvadore Paskowitz have brilliantly weaved both genres into a cohesive narrative with strong characters and an easy enough plot without having to explaining the sci-fi aspects throughout the film. In fact, the first several minutes of the movie has a narrator explain why this young woman in the early 1900s named Adaline (Blake Lively) has not aged past her mid-20s. It’s a fairly interesting and scientific explanation too, one that doesn’t seem to far fetched. So instead of the film taking an entire two hours to tell us why she doesn’t age, it’s over and done with in the first few minutes of the film, and we get to focus on her life through the years to present day in 2015. So in present day, we see Adaline working in a library as she has kept on the movie as to not alert anyone to her “condition”. Even her own daughter (Ellen Burstyn), doesn’t always know where her much younger looking mother is half the time. On the eve of her next move to a different life somewhere, Adaline meets Ellis (Michiel Huisman), a young, charismatic, wealthy man who immediately takes a liking to Adaline. The two hit it off slowly as he is impressed with her wealth of detailed knowledge on just about everything and her unique wit. Begrudgingly, she begins to fall for him too, but when she come with him to meet his parents (Harrison Ford and Kathy Baker), someone from her past recognizes her. 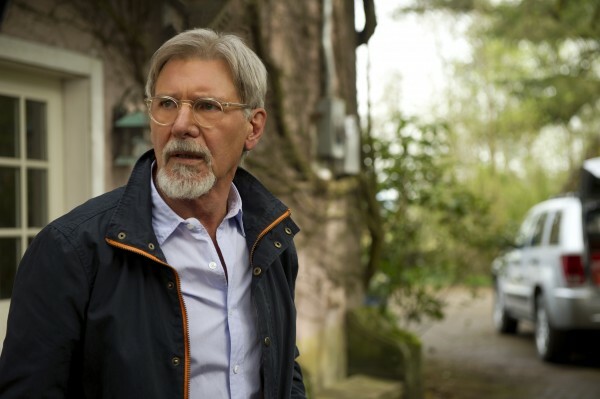 ‘Age of Adaline‘ is not so much a story of someone who doesn’t age or the science behind it, but rather a true love story between two people who are meant to be together and Adaline’s struggle and fear of letting go and following her heart. It sounds all sorts of mushy and sentimental, but it’s surprisingly not. It’s a very charming story with some genuine and funny moments throughout, such as Adaline knowing every single answer to Trivial Pursuit and Ellis being floored by each answer. It’s those little moments that make ‘Age of Adaline‘ worth sticking around for as well as Blake Lively and Michiel Huisman’s performances. You’ll be pleasantly satisfied with this little romantic film with a sci-fi element. This entry was posted on Thursday, April 23rd, 2015 at 2:35 pm	and is filed under Film, News. You can follow any responses to this entry through the RSS 2.0 feed. You can skip to the end and leave a response. Pinging is currently not allowed. « WWE: NXT 4/22/15 Recap! !